I wrote recently about the peculiar UK notion that school grounds should be sequestered, fenced or walled enclaves effectively unavailable for easy use by the school’s local community. The fact that school grounds are sometimes used for planned and organised ‘community’ events does nothing to weaken the points I sought to make. Particularly in areas where general park or open space is limited, this barricading against wider community use seems particularly ill-judged. Other countries manage things differently, Sweden for one, and parts – I do not have full information – of the USA, certainly. I happen to be in Berkeley, California, at the moment, and here some school at least have a more open policy. 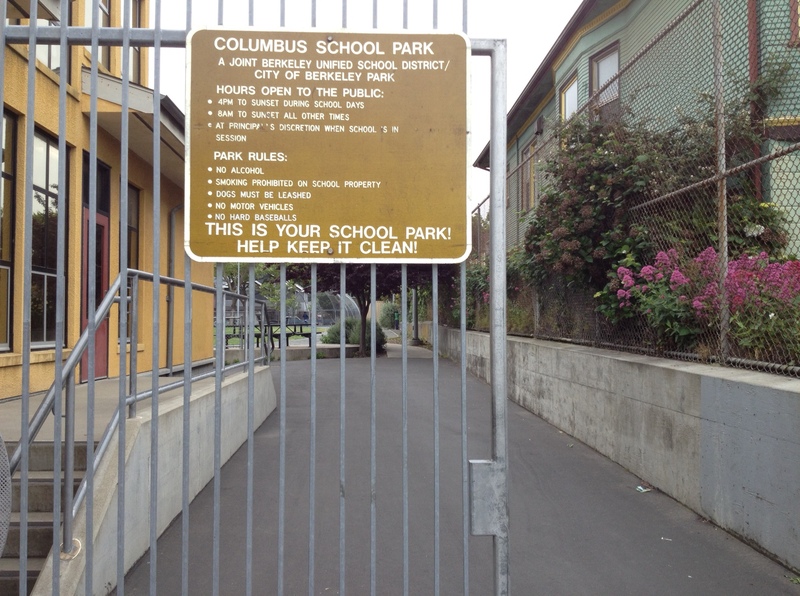 The pictures are of the signs at the boundaries marking the dividing line between school and park; park and street. The park section is used by the school during school time, and is open to the wider community at all other times. It takes but a minute’s thought to appreciate that the ‘rest of the time’, is quite substantial: after school, weekends, school holidays. 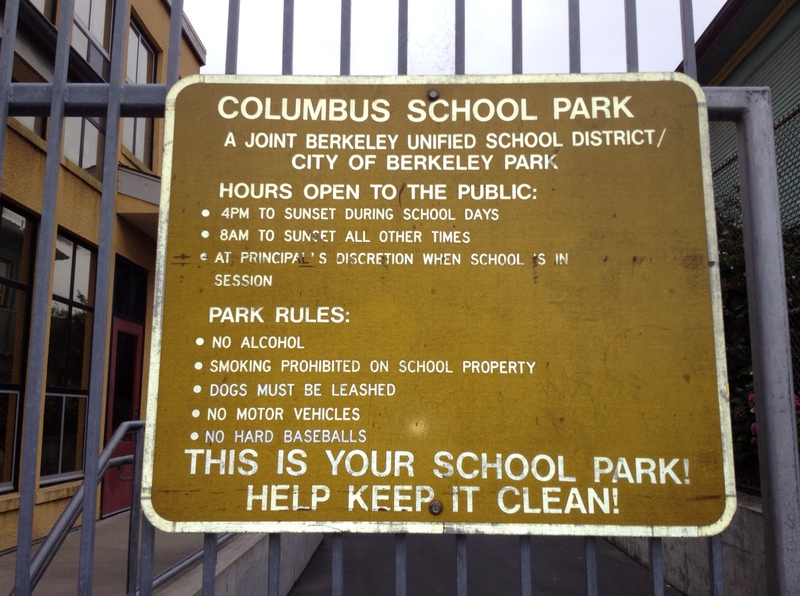 The signs raise questions, for example, why is the park closed when kids are in school time? ‘Stranger danger’, I hear you say. Well, perhaps that’s a valid reason. Or perhaps that reason is freighted with assumptions that it is time to challenge. But that is not the point of this short piece. My aim is simply to share with you the signs, and what they bespeak.